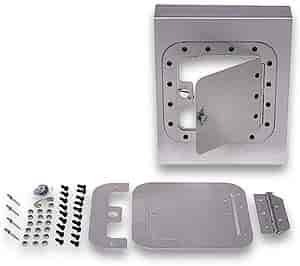 Allstar Performance ALL18530 - Aluminum Access Panel Kit 6" x 6"
Moroso's access door is ideal for any area that requires quick access (fuel cell, dry sump tank, etc.). The .050'' aluminum door is hinged to the frame and is held securely closed with a self-ejecting, flush-head Dzus fastener. Natural aluminum finish can be anodized or painted to match. 85700 - Moroso Access Door is rated 4.0 out of 5 by 1.